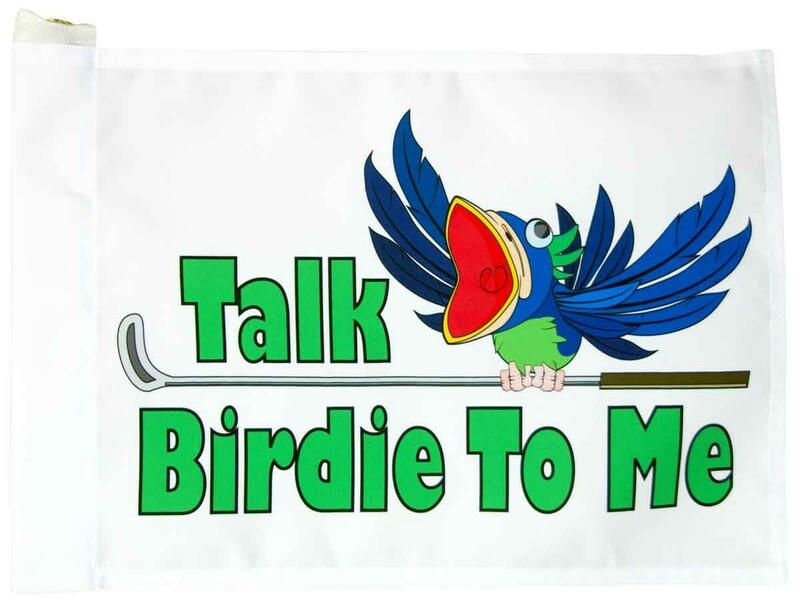 Talk Birder To Me Golf Flag. We will let you decided where to go with this. To us, it's a great way to dress up a backyard putting green The tube style Insert flag is designed to slip over the top of a standard 7-foot golf pin. The flag is regulation size: 14 inches X 20 inches.